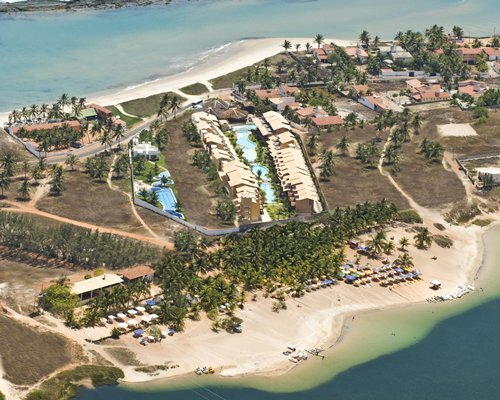 e-Suites Vila do Mar Wyndham Club Brasil will be your oasis of relaxation and fun on your next vacation at Natal. 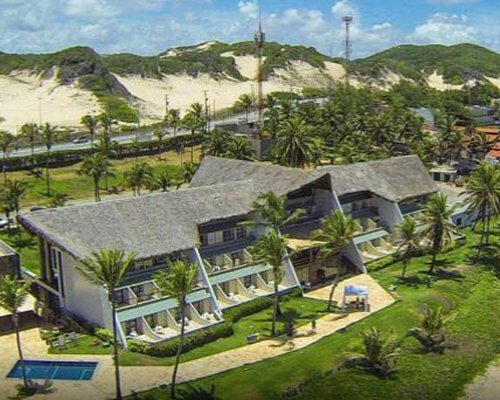 Located between parque das Dunas and the sea, the hotel was built in total harmony with nature with emphasis on the thatched roofs and the beautiful Carnauba palm trees complement this stunning setting. 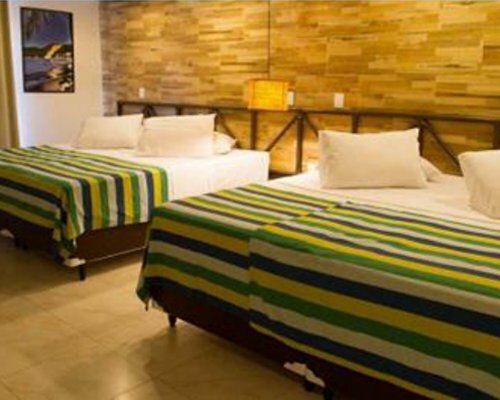 All units of e-Suites Vila do Mar Wyndham Club Brazil have air conditioners, TV, safe, coffee maker, hair dryer and refrigerator. Type 1 and Type2 units are hotels that cater up to 4 people and have microwave. Type3 units meet up to 2 people. Take Avenue to Airport Road Doutor Ruy Pereira dos Santos for 6 minutes (4.7 km). Take the BR-406 and Avenida Doutor João Medeiros Filho to Newton Navarro Bridge in Redinha, Natal for 26 min (19.4 km). Continue Newton Navarro Bridge. 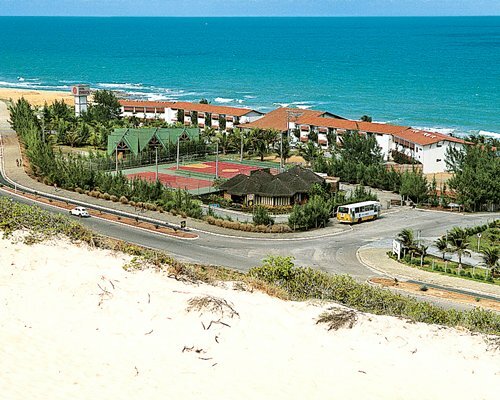 Take the Avenida Presidente Café Filho to Governador Silvio Pedroza Avenue in Praia do Meio for 7 minutes (5.1 km). Take the Via Costeira / Avenida Senador Dinarte Mariz to your destination. Mandatory Breakfast is 28.00 local currency. Cash or Credit is accepted. Child Fee 3-12 years old is R$14 per day. 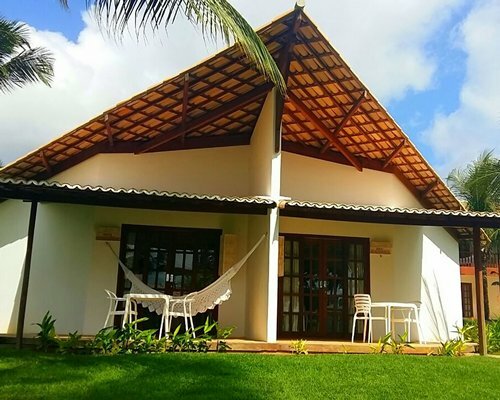 Optional Half Board (If purchased must be taken by all guests sharing the room and for the whole stay) Christmas week: R$166,00 per person, per day (includes Christmas dinner). 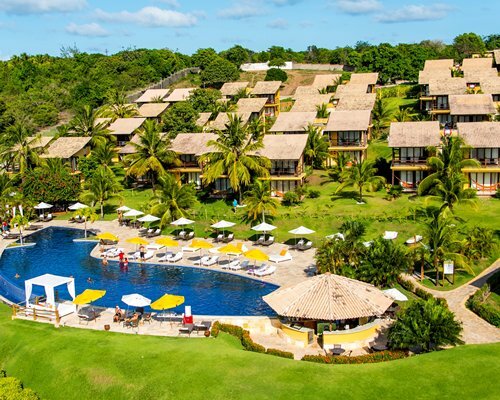 New Years week: R$216,00 per person, per day (inclusdes New Years Eve dinner). Children 3-12 years old pay 50% off. 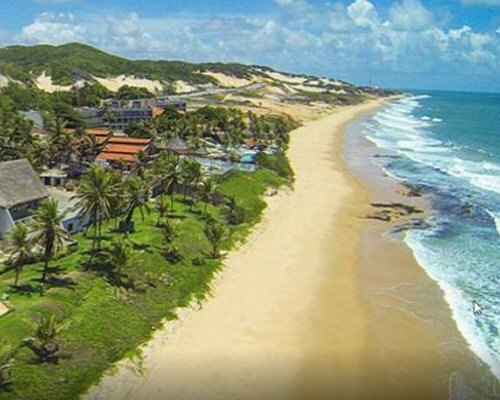 If members decide to stay at the Resort and use the Restaurant for X-mas and New Year's eve dinners, following fees apply: Christsmas Dinner: R$150,00 per person. New Years Ever Dinner: R$200,00 per person. If so, it is also mandatory to purchase Breakfast. 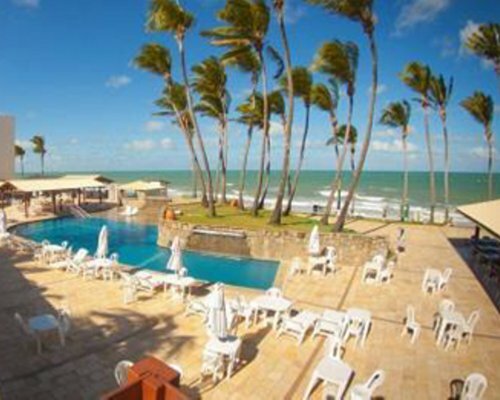 Breakfast fee per day R$26,00 per person.